Combating everyone from World War II Axis armies to voodoo priestesses and atomic saboteurs, the super heroes of the Golden Age engaged in adventures wilder than any other. And in the pages of ALL-WINNERS COMICS, the solo adventures of Captain America, the Sub-Mariner, the Human Torch and their cohorts were worth every thin dime. Of course, Marvel's greatest Golden Age heroes had already been together in one book, but there was one winning concept that hadn't been explored - a team-up! Now, at last, the fantastic tales that brought together Captain America, Bucky, the Human Torch, Toro, the Sub-Mariner, Miss America and the Whizzer as Marvel's first super-hero team - the All-Winners Squad - are presented complete and painstakingly restored for the first time! Joining forces, these seven heroes appeared in two amazing book-length adventures in which they raced to solve the perplexing riddle of Isbisa, and journeyed across the globe and back in a fierce fight with Madame Death and the Future Man! 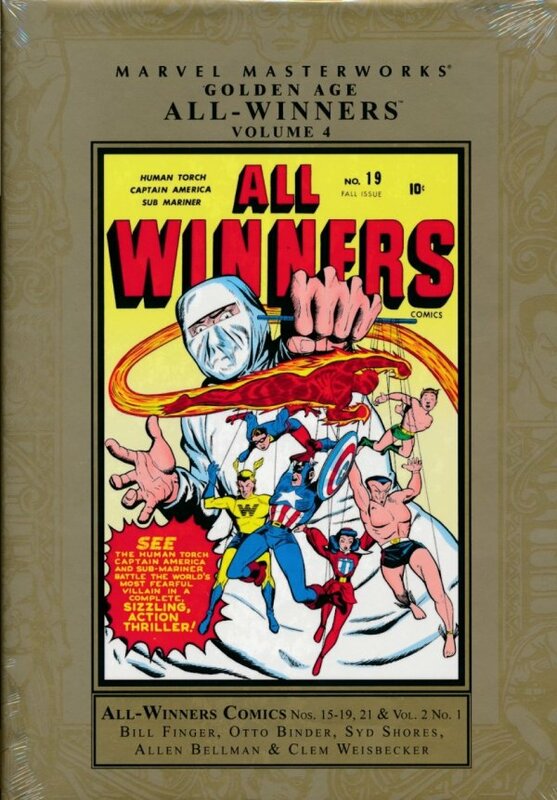 Also including the one-issue relaunch of ALL-WINNERS featuring the beautiful Blonde Phantom, this volume proudly completes your collection - making us winners one and all! 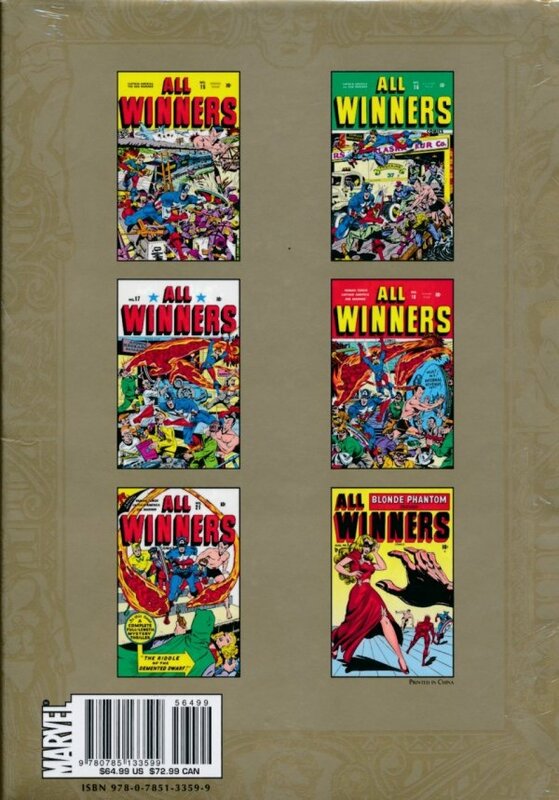 Collecting ALL-WINNERS COMICS (1941) #15-19 and #21, and ALL-WINNERS COMICS (1948) #1.